On 23 June the citizens of the United Kingdom will have to decide if they want to remain part of the European Union or rather, after the deal that British Prime Minister Cameron negotiated a few months ago, if they want to remain part of the European Union under a special status. This deal implies that ‘references to ever closer union do not apply to the United Kingdom’. So, even if the United Kingdom stays, it will be not much more than a ‘semi-member’. The two campaigning camps in the United Kingdom are both divided in two groups. The Leave camp consists of well known right-wing Eurosceptics like Nigel Farage and Boris Johnson and a few leftist groups under the label ‘Lexit’ (Left Exit). In turn the Remain camp consists of those who are pleased with Cameron’s deal and with the current EU on the one hand and those who believe that the United Kingdom must remain inside the EU and fight for a change on the other hand from within. Indicative for this divide are the official Labour campaign and the campaign ‘Another Europe is Possible’. The difference between ‘Lexit’ and ‘Another Europe is Possible’ characterises in fact the great dilemma of the European Left over the last years, which can be summarised in the simple – and simultaneously complex – question ‘Is the EU reformable?’ For many answer the answer to this question is that whereas another Europe is possible, another EU is not. Possibly new hope can come from Spain. Italian Prime Minister Matteo Renzi – a not so left-wing social democrat– recently stated that ‘The first time I raised the issue of flexibility in the European Council in June 2014 I was completely alone. And the effort was made only to succeed in including the word flexibility in the final text. We must keep in mind that at the time there wasn’t Tsipras – who then brought a Left wind in the debate – nor did we have the current situation in Spain. Now, after two years, there seems to be an alternative, which, as a country, we support’, Renzi also pointed out that he repeatedly told the French President François Hollande that he would like France to show a little more courage. Three days after the British referendum, on 26 June, new general elections will take place in Spain. Currently, the polls are showing that the Left coalition ‘Unidos Podemos’ (Podemos and United Left) will be the second party in the next Spanish Parliament putting a lot of pressure on the PSOE, the Spanish socialist party of Pedro Sanchez. The PSOE might have to decide whether they will agree to form a Portugal style government with Unidos Podemos or an old style government with the People’s Party of current PM Rajoy. Objectively seen, we have to acknowledge that Social Democracy is an important component in the long process of changing the EU, but, at the same time, we have to conclude that its stance has been deeply disappointing up till now. President Hollande has been a great disappointment for all who believed in him. On the other hand, Labour leader Jeremy Corbyn, Gianni Pittella, president of the Progressive Alliance of Socialists and Democrats in the European Parliament and maybe Portuguese Prime Minister Antonio Costa seem to be more encouraging examples. Social Democracy is at a crossroads and the road they will choose to follow in the near future will certainly influence the course of the EU. But, as much as the involvement of social democrats in the process of constructing another EU is needed, we should at the same time start planning and pursuing it without them. (The ‘Third way’ position that is still dominant in most social democratic parties renders them an unreliable ally). I sincerely believe that the only genuine movement for an alternative, juster, more progressive EU will come from below, from the young generation and from transnational synergies, at first from groups, organisations, networks, then from political parties. The people(s) of Europe by transcending national borders, are the only force that can put forward a radical plan for the change of the EU. This struggle has a national and an intra-national aspect. It is not good enough to elect a left-wing government in one country and expect that they can change the whole EU neither is it sufficient to elect a European parliament with a left and green majority and let the Right run our national governments. Changing the European Union and its institutions is a very long and a very difficult process and there is no guarantee that we will achieve our aim. So the question, which arises, is obvious: is the EU worth all this effort or should we just leave and enjoy our national paradise? 1. There is no such thing as a paradise, as much as there is no guarantee that a movement for changing the EU will succeed. Neither is there a guarantee that a return to the nation-state will be beneficial for the majority of the people. We live in a globalised world, we have to face transnational issues, and no country can isolate itself and expect to thrive. 2. No, the current EU is not worth our effort. But we are not fighting for this EU. We are not fighting to defend this EU, to keep this EU intact. I am fighting against the current ‘European Union’ which I have experienced as an instrument of imposing a harsh austerity regime, but I will fight for a deeply democratic, just and social Union of the people of Europe. And I still believe that this is our future. I am not sure that I will believe it forever. As a European I will follow with great interest the electoral processes in the United Kingdom and in Spain and I hope that the results will be a step forward in this process for a progressive change of the EU. But we are not the only ones that fight for the change of the EU. There are also people with a dark vision for the future of the continent. And we must be careful and ready to face them too. Welcome to the interesting times, as a well known Slovenian philosopher likes to say. 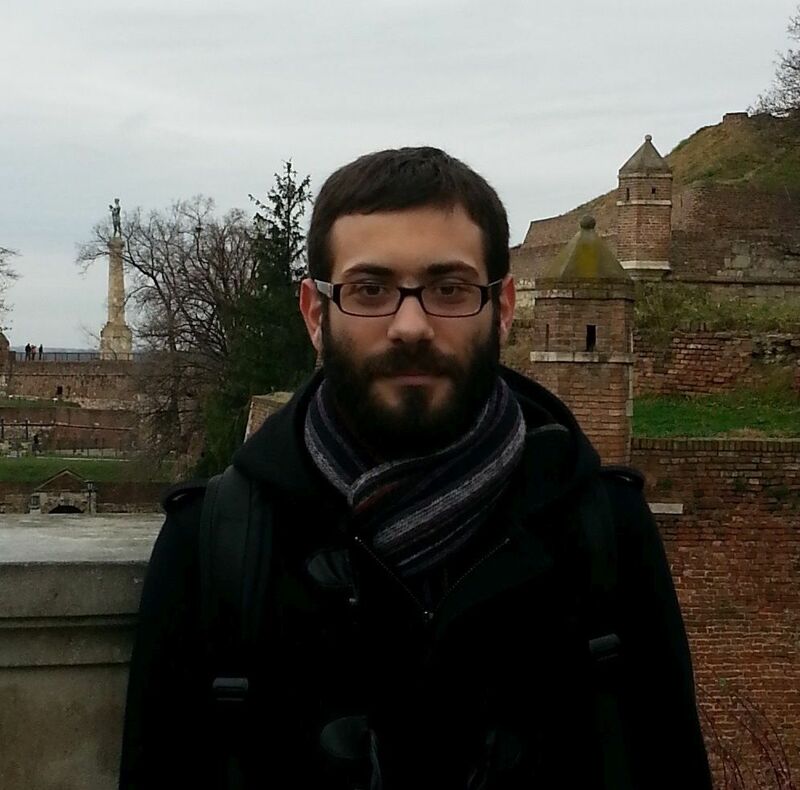 Antonis Galanopoulos (1989) is from Greece and holds a bachelor’s degree in Psychology and a Master’s degree in Political Theory and Philosophy.